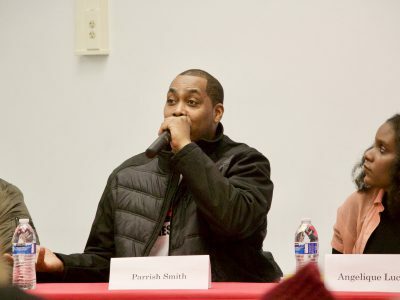 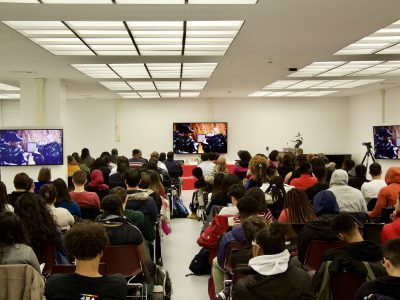 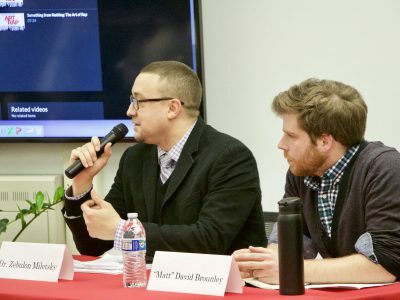 On February 5, 2018, the library’s Equity, Inclusion and Diversity committee joined forces with the Africana Studies and Music departments along with Hip Hop artist, Parrish Smith to discuss the history of Hip Hop. 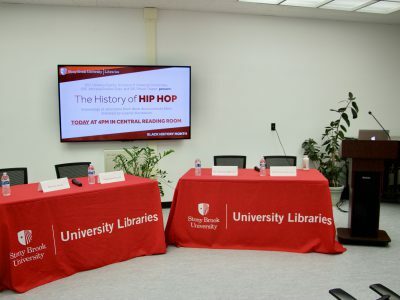 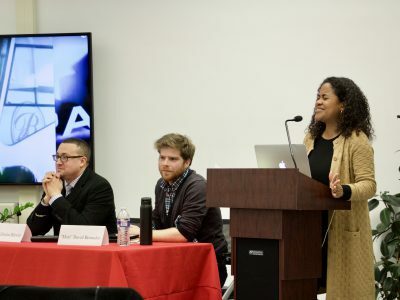 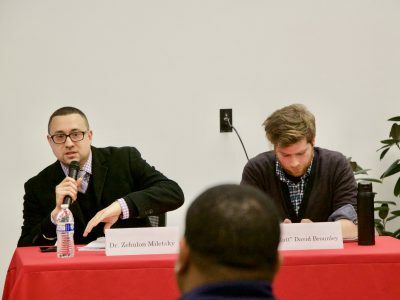 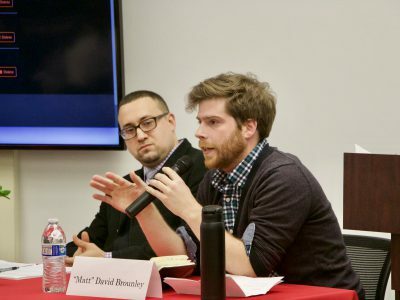 The event highlighted various clips from some Hip Hop documentaries interspersed with discussions from our esteemed panelists: Parrish Smith (EPMD), Dr. Zebulon Miletsky (African Studies), Angelique Lucien (African Studies) and David “Matt” Brounley (Music). 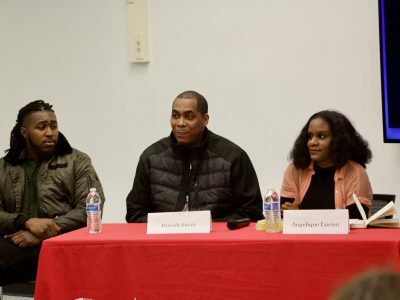 The well attended event highlighted the many facets of this American musical phenomenon that has made an indelible mark not only on American history but the world as well. 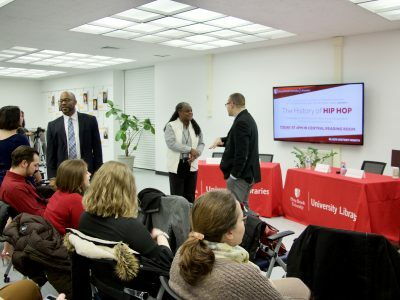 ‹ Need some help figuring out APA citations? 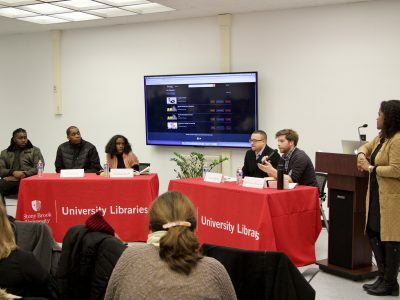 Having issues with EndNote?